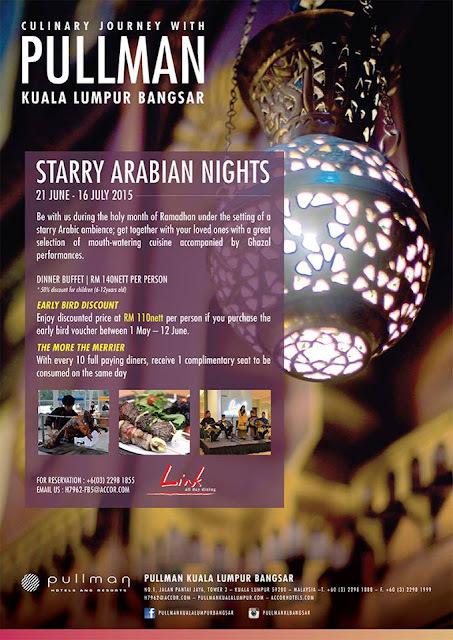 This coming holy month of Ramadan, Pullman Kuala Lumpur Bangsar is proud to present this year’s spread of Buka Puasa feast themed Starry Arabian Nights at Link All Day Dining. From 21 June to 16 July 2015, Link culinary team lead by Executive Chef Johann Ong together invited Arabian Chef is set to tempt many with their feast of Arabian and Malay cuisine. When one mentions of Arabian cuisine, one immediately thinks of the aroma and flavours of spices, herbs, nuts, dates and more. What is today regarded as Malay food is the results of centuries of outside influences where the Malay absorbed a tradition of Arabic dishes. The Arabs also enjoy a lot of lamb in their cuisine so it is without any doubt that one of the highlights of the Buka Puasa feast is a whole Baby Lamb with Arabian marinade. Slowly grilled over hot charcoal, the lamb fat slowly drips onto the sizzling coals and let the heat steam gently cooked the lamb to keep it nicely moist. Slow cooked for hours, the lamb yields tender meat with aromatic spices. Another highlight of Middle Eastern cuisine is Shish Tawook which is a traditional shish kebab. Here the chicken kebabs are well marinated and nicely grilled and served with flat bread, fresh vegetables and lemon. There is also Lamb Kofta of minced lamb shaped into kebabs and grilled. These are juicy and nicely spiced up. Enjoy them with rice or bread and an array of dips and salads. More meat dishes like Sharwarma, which is a Levantine Arab meat preparation where meat or chicken is marinated, piled on a large skewer and placed on a spit and slowly grilled as the skewer rotates. The meat is then shaved off on the cooked edges and serve stuffed into flat bread together with fresh shredded vegetables. All these Middle Eastern dishes beckons with classic dips and salads of Hummus, Baba Ghanoush, Tabbouleh, Fattoush, Beetroot Salad, Yoghurt with Cucumber and more. It was a treat of flavours and textures in Arabic cuisine. More signatures of the buffet include Saffron Rice with Braised Lamb Shoulder, Couscous with Braised Arabian Lamb Shank, Spicy Marinated Sea Bass Fillet, Lamb Meatball Stew and more. The Saffron Rice with Braised Lamb Shoulder is delicious. Fluffy long grain rice nicely flavoured with stock and spices and served with tender lamb shoulder is a dish that is just so good on its own. Save some room for the King of Fruits, the Durian! Enjoy treats of durian available at the al fresco area of the restaurant. Besides all the above, there are definitely more dishes of international favorites at all the stylishly designed live cooking stations. Desserts are going to give everyone a sweet ending! From kuih muih to cakes, puddings, cookies, ice cream and more, it’s going to be a tough choice choosing on the sweet treats. 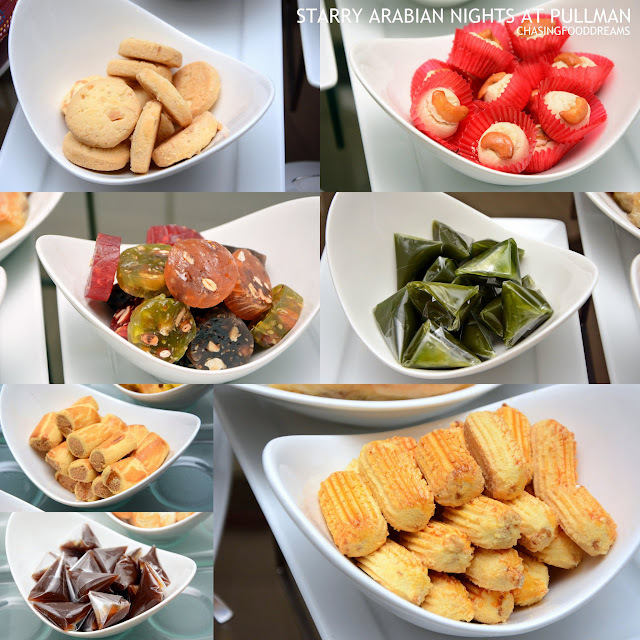 There will also be some Arabian sweets and dates as well. Besides the feast, there will be live ‘Ghazal’ performance to add to the ambience and mood throughout the buffet dining experience. 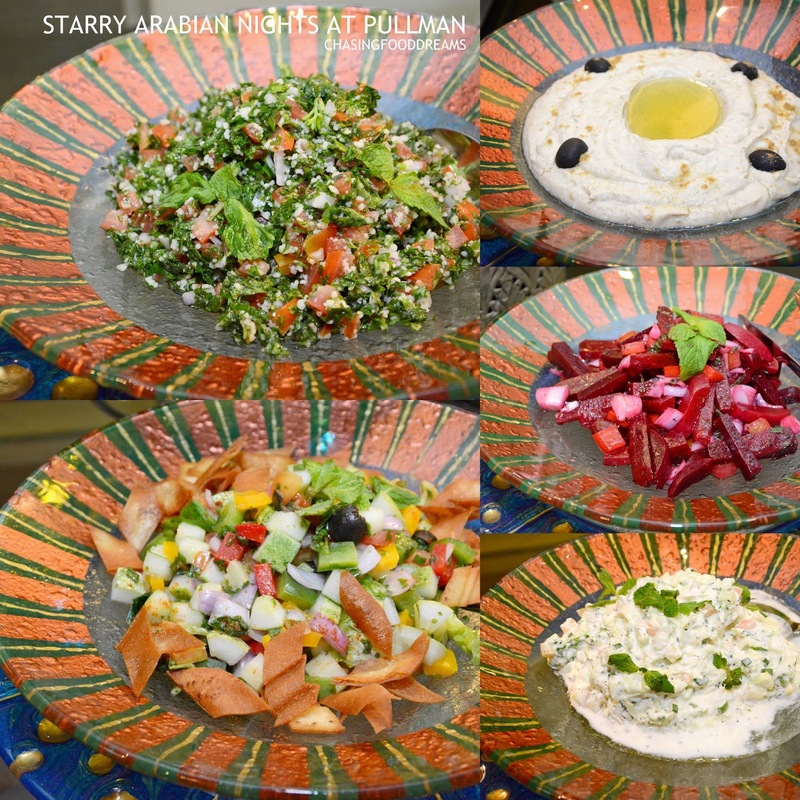 The whole Starry Arabian Nights dinner buffet is priced at RM140 nett per person with 50% discount for children aged 6 to 12 years old. The buffet dinner is available from 21 June to 16 July 2015 from 6.30pm to 10.30pm. Enjoy the buffet with early bird discounted price at RM 110 nett per person if you purchase early bird voucher from 1 May to 12 June 2015. Offer valid for limited time period. For reservations , call Link All Day Dining at +603 2298 1855 or check out their website for more information. Arab theme, certainly different from most of the other kampung style ramadan buffets.